For most of us it will have been a while since we had to impress on our driving test, and so we’ve forgotten what a daunting experience it can be. New drivers nowadays have the added expense of high insurance rates once they’ve passed and any scratches or scrapes to the car can end up costing quite a lot of money. 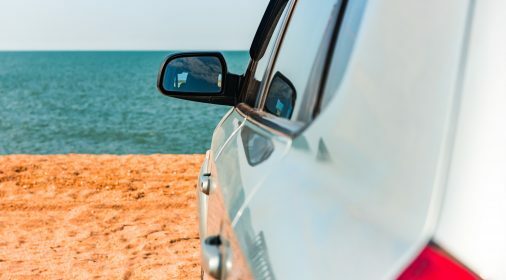 Although it is undoubtedly an experience that makes you the best driver you can be, it’s important not to forget the essential rules when taking a driving test, which we’ve put together for you here! Be confident but safety first – Show the examiner you know what you’re doing, but at the same time ensure you always show safety is your first priority. Never do anything that will potentially put you or the examiner at risk. Ensure you’re familiar with the vehicle – Make sure you’ve driven in the test vehicle regularly so that you can comfortably drive it and know where all of the controls are. Especially when it comes to showing the examiner what’s under the bonnet. Drive in different weather conditions – get a full taste of what driving is really all about and make sure you’ve driven in a variety of weather conditions; wind, rain, bright sun and frost/icy conditions. This will ensure you’re prepared for any eventuality during your test! Don’t let something trivial mean a fail – Something like not checking your mirrors, looking around with due care when parking and pulling out, or, worse still speeding at any point in the test, is a stupid way to receive minors and majors. Always keep an eye on your speed and exaggerate your movements – let the examiner know you’re going through your checklist. Drive the routes regularly – In the lead up to your test, make sure you’ve done a lot of the routes around the test centre, most driving instructors will do this anyway, but if you think there are areas you’ve neglected, flag them up with your instructor in good time. Listen carefully to instructions – During the test, listen very carefully to what’s being asked of you and ask if you don’t understand. Relax! – One of the most important things is to keep calm. It’s natural to feel apprehensive but try not to worry about the test, enjoy it and make the best of it. If you don’t pass this time, make sure you spend plenty of time working on your problem areas as ultimately, it will make you a better driver. Don’t worry if you get any bumps and scratches on your car just after you’ve passed your test or while you’re learning – ChipsAway can sort them out for you for less than you’d think! And if your test is coming up – good luck!